'Sad Birds Still Sing' is the highly anticipated debut book of poetry from the anonymous author known as 'Faraway'. With one of the quickest rises to social media stardom in author history, Faraway has become one of the most recognizable figures on the platform they write on - Instagram (@farawaypoetry). This anonymous author shares a similar writing style with names like 'Rupi Kaur, Lang Leav, and many more modern authors - focusing mostly on short from poetry. With a following of 200,000 and growing, Faraway has gained attention and shares from superstars like Jessie J, Brenna D'Amico, and many more. In this debut, Faraway takes the reader on a journey of discovery, with a message of hope as the main artery running through the pages. 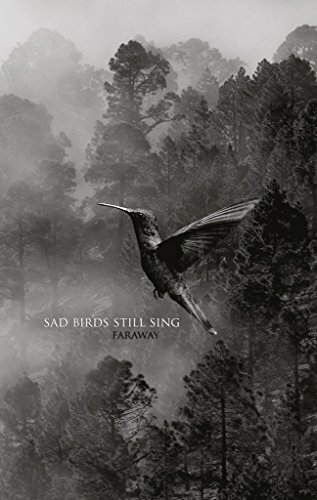 'Sad Birds Still Sing' fearlessly dives into the depths of the human condition, tackling topics such as new and old love, loss, anxiety, self-harm/love/awareness, parenting, dreaming, and much, much more. This book was written to prove to the world that every emotion is valid and necessary, and that "it is still beautiful when sad birds sing."